I have never had any indication of an issue, no high pressures or eye pain, so I was confused. I didn’t quite understand the issue, but accepted his recommendation. I put it off for several months because of the distractions of life, and finally saw the doctor Tuesday. According to Dr. Kay I am at risk of an acute glaucoma attack. 😱I have what is called narrow angles in my eyes which can occlude the drainage of fluid and this would raise my pressures to a point of sudden loss of sight. I was horrified and distressed. With writing, blogging, quilting/sewing, and reading – losing any of my vision would devastate me. After watching a video explaining my condition and the treatment suggested I was a bit easier. It still scares, the idea of a laser making a tiny opening in my iris to drain excess fluid. So, next week this will happen. One eye will be done on Thursday, the other on Friday. I pray for no issues, and will share the update you beautiful followers. Hungry While Passing Through Catalina AZ? Catalina is a rural village, just north of Tucson on Hwy 79. We have a beautiful view of the Santa Catalina mountains and are far enough from Tucson that the only signs are the bedroom community aspects of traffic and new construction. As is usual in communities like ours we don’t have all the dining options a metropolitan area would have. 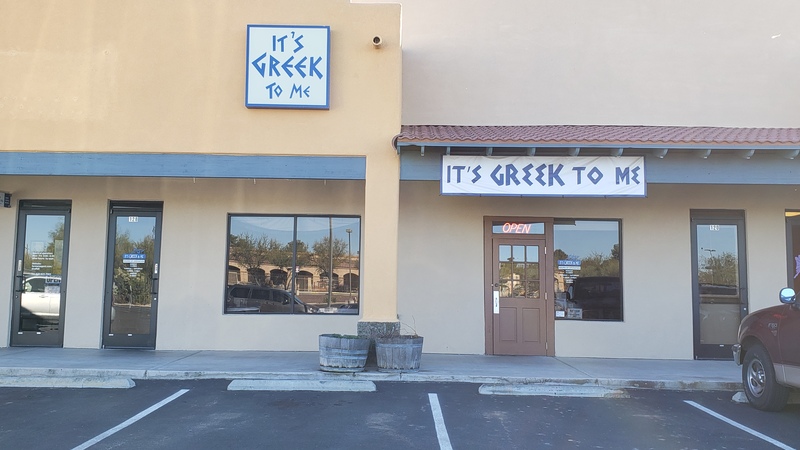 We do have a little gem called It’s Greek to Me. It is the best. The food is fresh, and prepared with love. 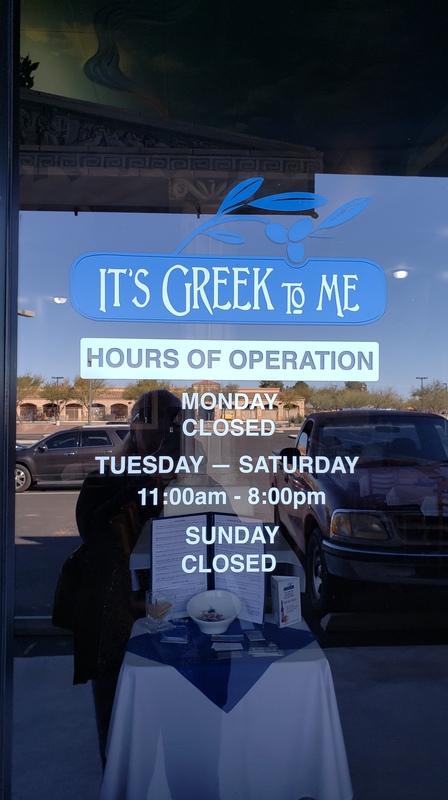 The atmosphere is like sitting in the dining room of a Greek family home, with wonderful smells, laughter, children’s voices, and people enjoying the music. It is a place where you can sit at your table for however long you want, no rushing your meal. The wait staff, which can include the couple who own it, are super friendly and accommodating. Hubby and I we there last Friday for a late lunch. It is like visiting with friends. The owners David and Kaitlyn are hands on, cooking, serving, and going out of their way to make the best dining experience possible. Their toddler son, was asleep in his playpen while his pregnant mom cooked – this is the way it goes in this family oriented place. She is due in June. Kaitlyn had told me, whenever I came in, to ask if they had mussels, which I did. I was thrilled to hear an affirmative response! 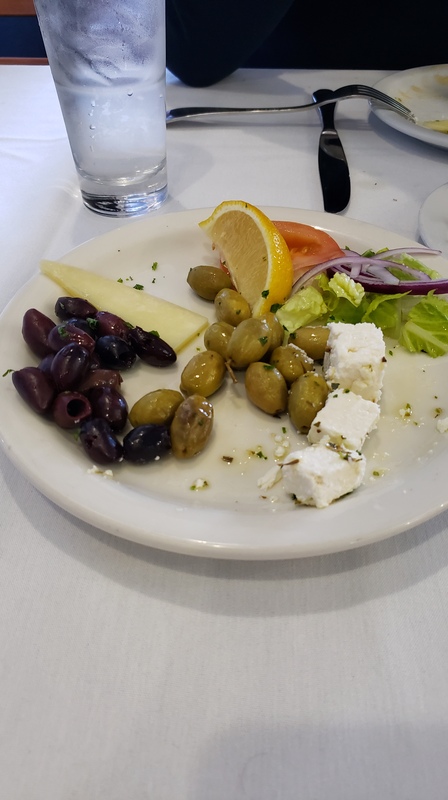 Yep, I ordered them in red sauce, along with a glass of a dry Greek (Skouras Saint George) red wine. Perfect!! The lovely Rebecca was an attentive and friendly server. She enjoyed how much we loved our food, which feels wonderful to a customer. 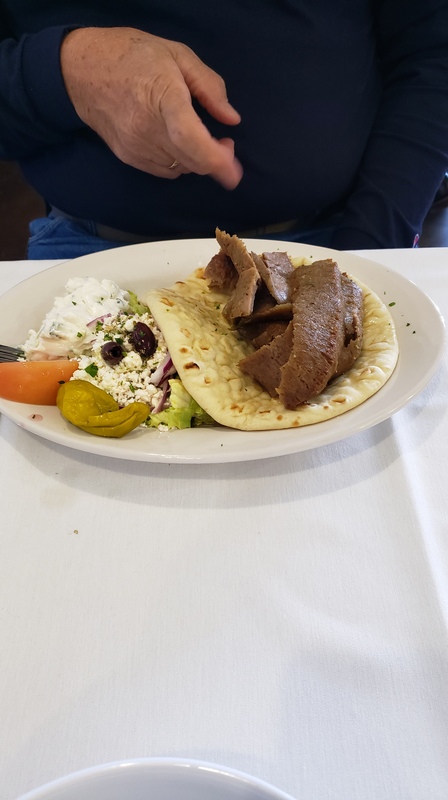 Hubby had the Gyro Platter, always a favorite, for his meal. 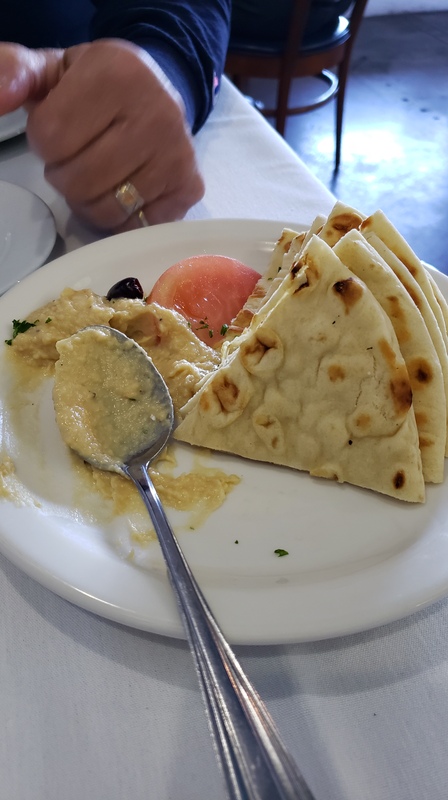 We started off with the hummus (so good) and warm pita bread, cheese and olives. 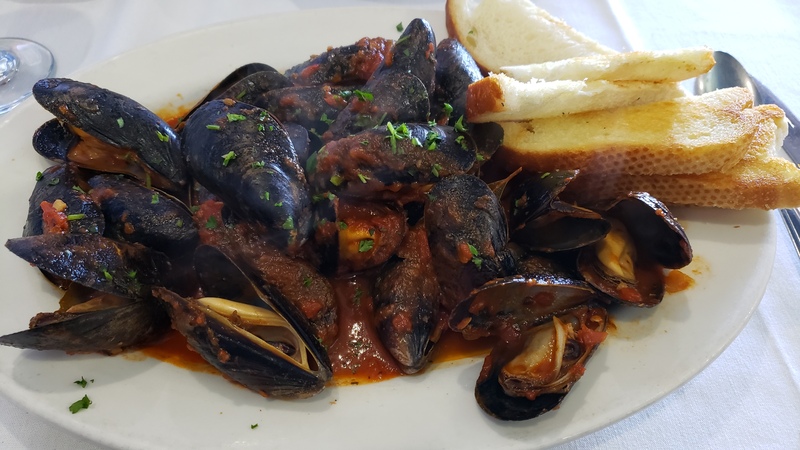 They don’t scrimp on the portions so I had to go easy to make room for my mussels. We dug in and had a wonderful and extremely filling meal. I highly recommend the honey yogurt cake😋. It was my mother’s favorite. A side note, they have very fresh and wonderful vegan/vegetarian options as well.